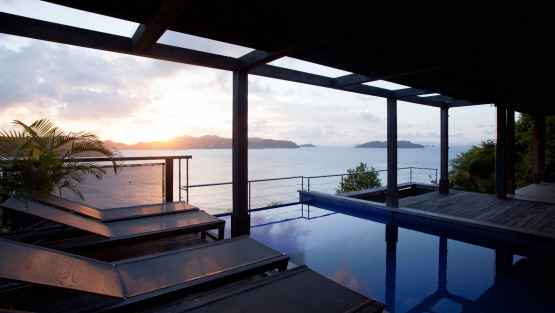 The Villa SAMSARA has a amazing overview on the caribean sea and the sunsets ! 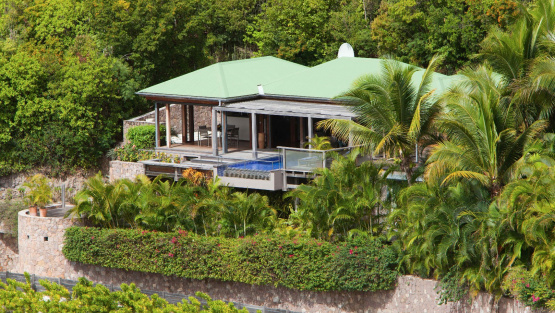 The Villa SAMSARA Is located high above the ocean in Pointe Milou the villa offers panoramic views that take in the glorious sunsets. 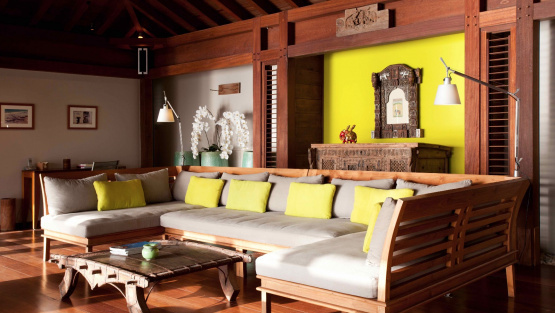 This wonderful Balinese style villa propose a spacious living open on the deck and the pool area. 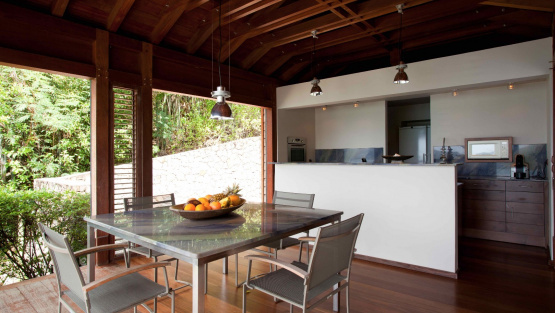 ; a design that evokes a tropical feel in harmony with the palm fringed surroundings. 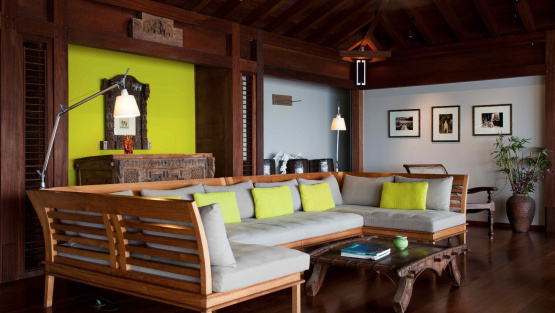 The living room drops down into an infinity pool, there’s an outside shower and terraces of wood and Balinese stone. 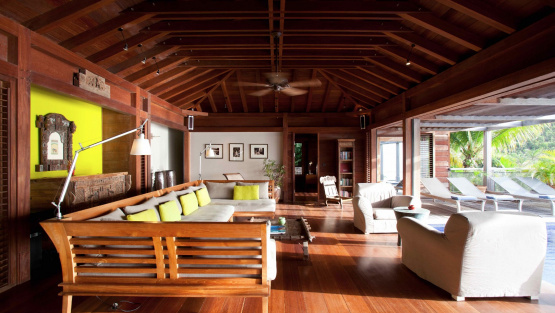 The warm ambience, created by honey-colored teak and contemporary island décor, harmonizes perfectly with the tropical climate. 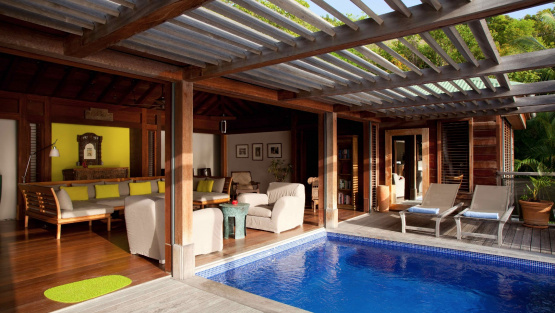 The open living space with comfortable furnishings faces the infinity pool and ocean. 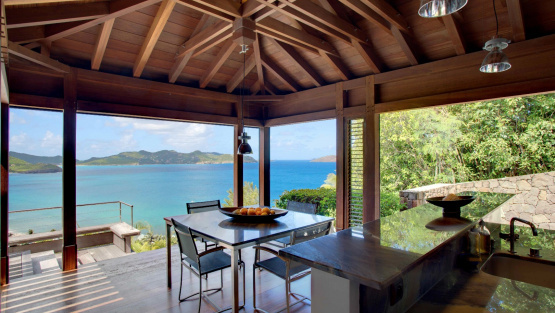 The living area connects to an open, well-equipped gourmet kitchen with indoor dining table, views of the sea, and access to a barbecue grill on an adjoining terrace. 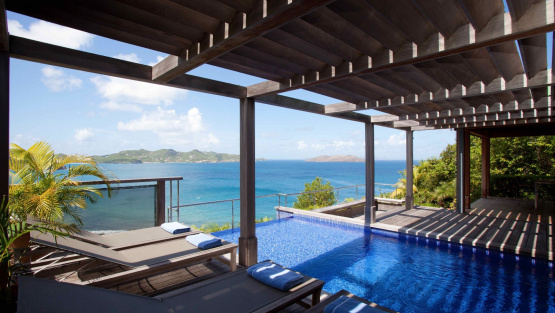 A partially covered wood terrace with loungers surround the infinity pool, making the spot ideal for relaxing in the shade or sunbathing. 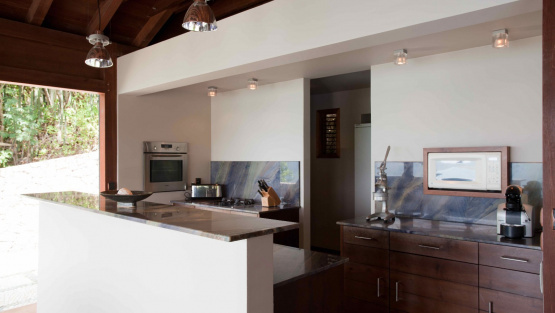 At the same level, an full equiped american kitchen, a diner area and a nice master bedroom with her ensuite shower room. 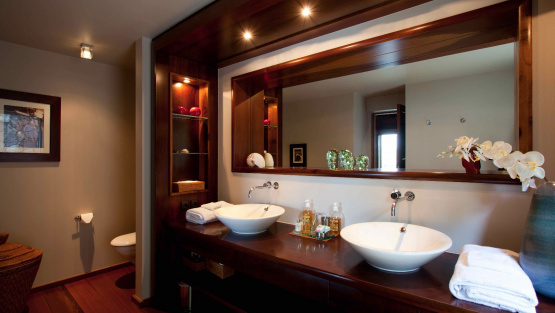 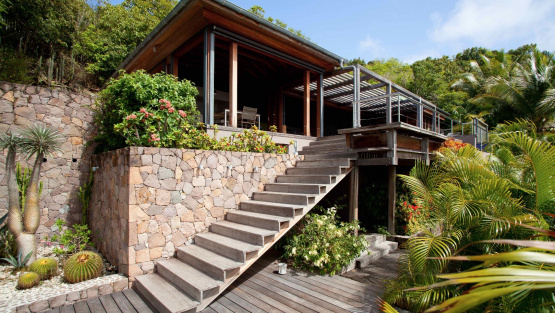 At the lower level, a second master bedroom with her ensuite shower room and a private deck. 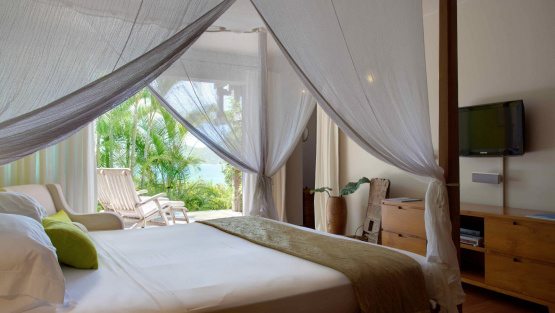 The Villa SAMSARA offers two similar and independent bedrooms. 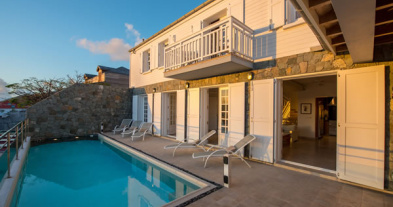 The Villa SAMSARA is located in Pointe Milou, a few minutes away from Lorient beach and 2 minutes driving to the restaurants and Hotel spa. 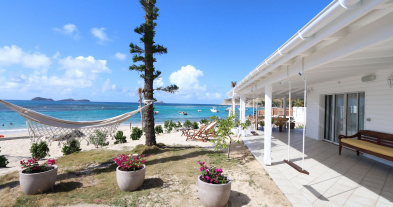 This villa is ideal for two couples of friends on Holidays in St. Barths. 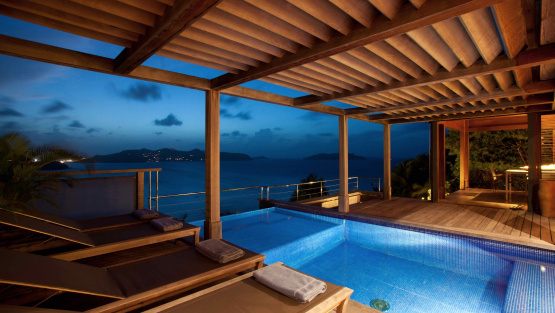 Lounge opening on to the terrace and the pool, Celing fan, Sound system, Ocean view. 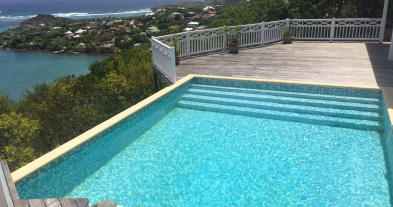 Fully Equipped Kitchen, Fridge, Freezer, Oven, Microwave, Nespresso Machine, Toaster, Dishwasher, Juicer, Dining table for 6-8 guests, Ocean view. 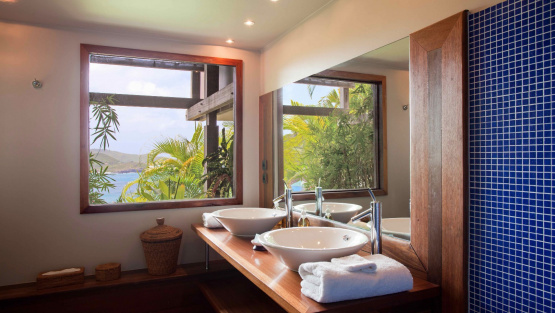 King size bed, Ensuite bathroom with two sinks and outdoor shower, Air conditioning, Closet, Safe, HDTV, Dvd player, Dish Network, Wifi, Ocean view. 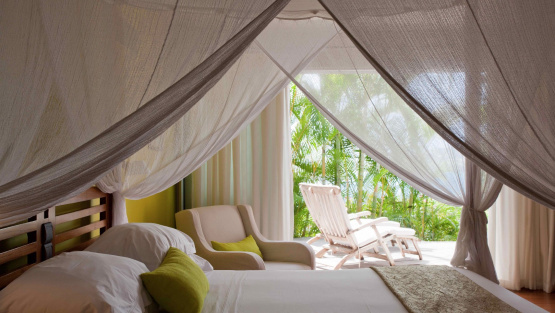 King size bed, Ensuite bathroom with two sinks and shower, Closet, Safe, Air conditioning, HDTV, DVD player, Dish Network, Private terrace, Ocean view. 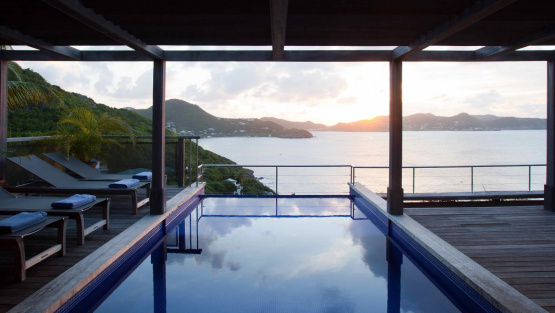 Large terrace surround the small pool, Deck chairs, Gas Barbecue, Ocean view.